Are you a music expert? If the answers 'yes', we need to hear from you! 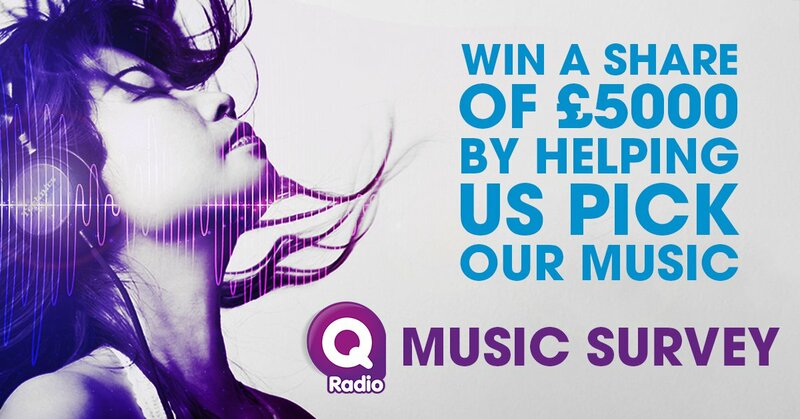 We want listeners to help us pick the music on Q Radio. Rate some songs and be in the draw to win £100! We will select a winner at random after each survey. Share your music opinions with us now and be in with the chance of winning. Click here to take our Q Radio music survey -it won't take long! All research gathered will only be used for internal research purposes. No research data or opinions will be shared with third parties. The total of £5,000 will be allocated across 12 months beginning on 18th June 2018. The draw will be at random and selected from those participants who have completed the survey where the individual prize will generally be £100.